Follow Day 13 — our final day — LIVE on Twitter this Tuesday, 5/3, at hashtag #A4T. 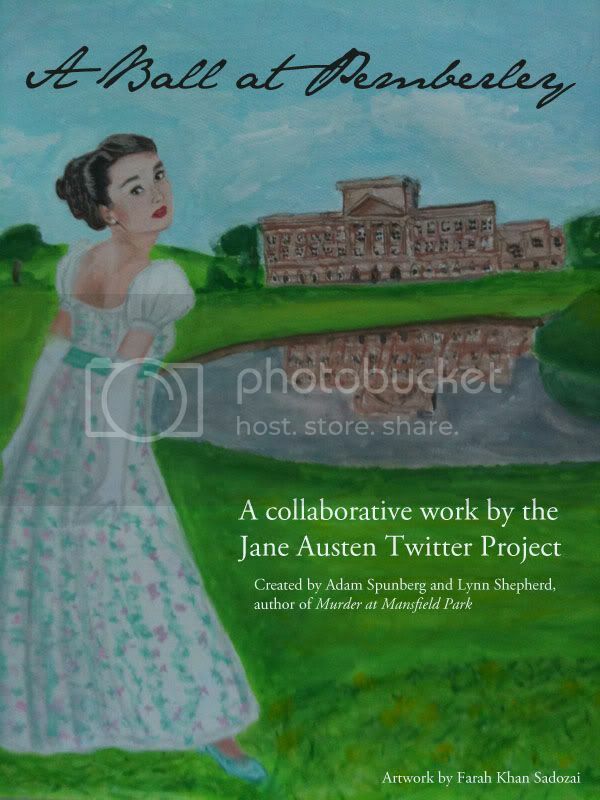 Find out how “A Ball at Pemberley” will conclude! Day 12 of the story is now up! Thank you to all of our contributors for another day of extraordinary writing! 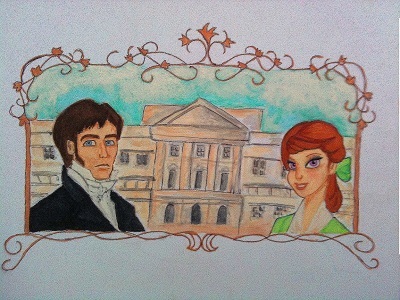 “Miss Price,” Colonel Fitzwilliam replied, suddenly captivated by the openness and sincerity filling Fanny’s eyes. He admired, for the first time since making her acquaintance the day prior, the elegance of her figure and the manner in which her dark hair, having come unpinned, pooled across her shoulders in gentle waves. “How are you this evening?” the Colonel continued, staring intently at this unassuming, yet positively bewitching, young woman. “I am well, thank you, sir,” Fanny replied, unable to prevent a broad smile from spreading across her face. A Ball at Pemberley: Day 11! Follow Day 11 LIVE on Twitter at hashtag #A4T. THERE WILL BE NO DAY 11 POLL! Day 10 of the story is now up, and we’ve reached a new milestone: 40 CHAPTERS! Can you believe it? Who knew we’d come this far!? There were some particularly touching moments in this week’s portion. We hope you enjoy seeing it all pieced together! Copious expressions of unsettlement were abundant from the onlookers to the quarrel. Grant carried on with his laughter. Firth could not hide his frustration. “Your actions have been entirely shameful. I have never been acquainted with anyone quite as loathsome as yourself,” Firth continued irately. Grant did not appear surprised in the slightest, and to the revulsion of the observers, he proceeded with his display of personal amusement. Our very own co-founder, Lynn Shepherd, has just won a major award! 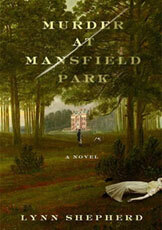 Her first published novel, Murder at Mansfield Park, just won Best First Mystery at the RT Reviewers’ Awards. How awesome is that?? Congratulations, to a great writer, but an even better person!! A Ball at Pemberley: Day 9! Follow Day 9 LIVE on Twitter at hashtag #A4T. Day 8 of the story is now up! Thanks for being so patient! “I’ll assume the task of invitations, and shall look over the ornamentation and finer details. I promise it shall be wonderful,” Mr. Darcy said with a twinkle in his eye.